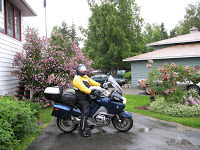 Camai Bed and Breakfast in Anchorage, Alaska, has had several guests who traveled to Alaska on their motorcycles via the Alaska Highway. This past week we had Curtis and Ray and their wives, Kathy and Rubette stay with us. 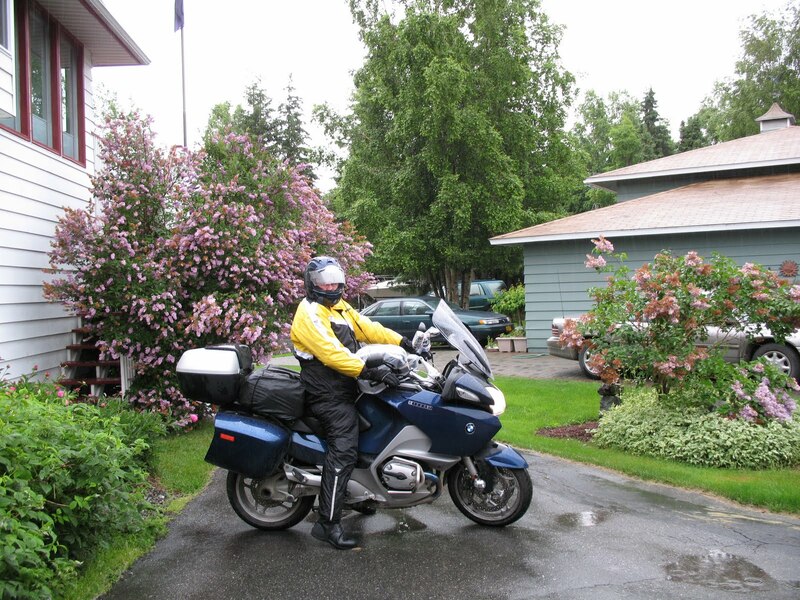 Curtis and Ray traveled the Alaska Highway (on a Gold Wing Honda and a BMW) while their wives flew up to Alaska. 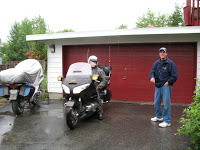 The pictures were taken yesterday after breakfast as Curtis and Ray got ready to leave Anchorage and Alaska behind. Curtis has the Gold Wing and was ready to go before Ray. 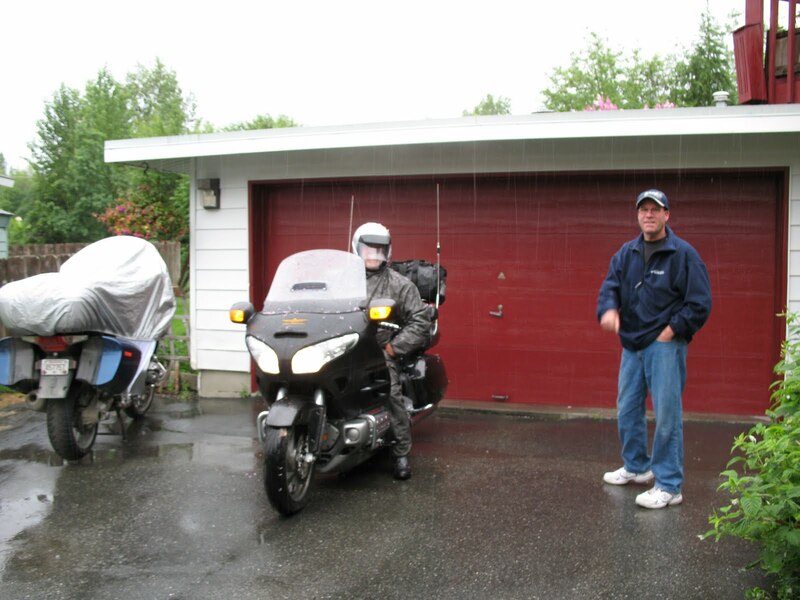 Curtis chatted with Jeff on Camai B&B’s driveway. Ray has the BMW. Many interesting stories where shared at the Camai’s breakfast table. 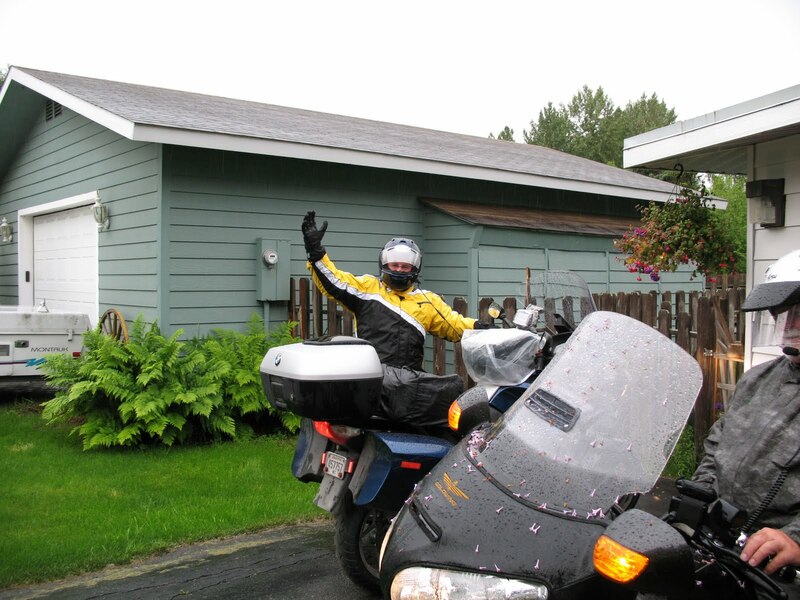 Curtis and Ray are sharing their adventures on their blog where you can find out about their wrong-turn adventure coming to Anchorage. Two of the mornings we had another guest from Washington state (Jeff) who shared several rides not to be missed in his area. 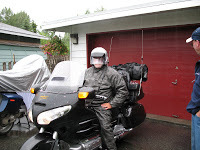 Last year we had a Canadian from Ontario who took the trip on his motorcycle. His wife flew to Anchorage and joined him. 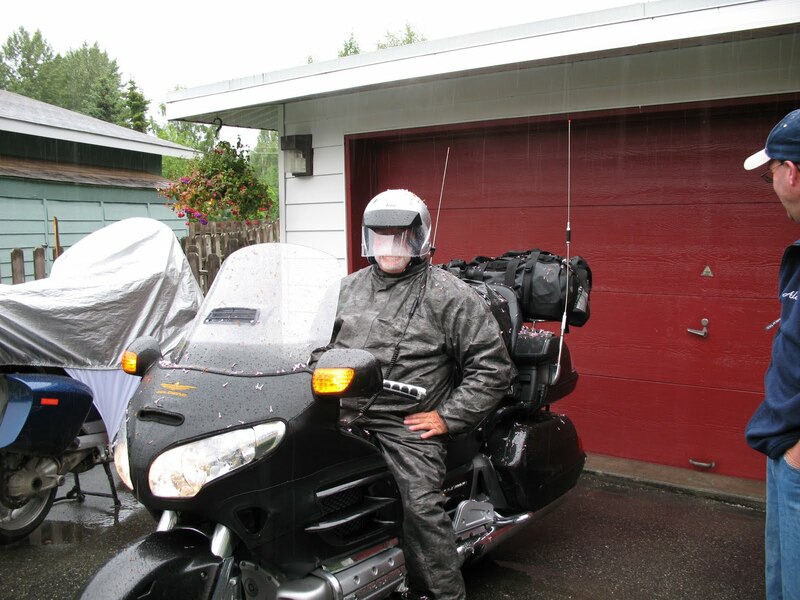 They toured some of the state on the motorcycle before his wife flew home while he biked back to Ontario. This entry was posted in Uncategorized and tagged Alaska Highway, Anchorage, motorcycle by admin. Bookmark the permalink.